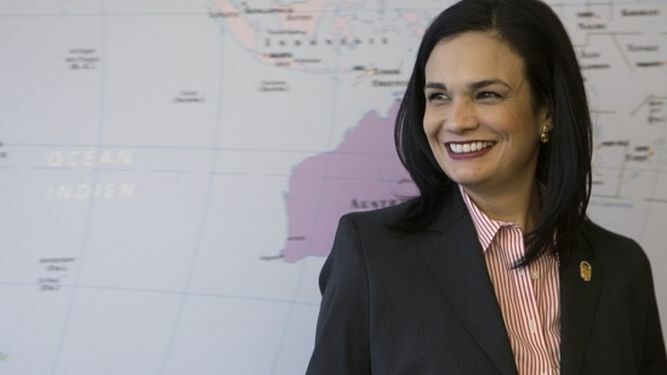 Panama Vice President and Foreign Minister, Isabel de Saint Malo de Alvarado, will spend three days in Washington DC for a meeting with Secretary of State, Mike Pompeo and the Secretary of the Treasury. The work schedule of De Saint Malo de Alvarado begins on Monday, February 4 and she will return to the country on February 7. The meetings come as Panama continues developing relations and trade agreements with China, amid warnings from Pompeo to be wary of the Asian giant. The vice president also plans to meet with the director of the Western Hemisphere in the National Security Council, the chairman of the Foreign Affairs Committee of the House of Representatives, the president of the Inter-American Development Bank, among other authorities. Signs of a Russian ally imminent attack: Venezuela dictator persuades Russia of U.S. interference. China takes Panama Amador Causeway...concessions. The U.S. develops [Economic / Financial Strategy] with China. China despair of economic downturn. Gathering of nations combat naval sea military forces. Gathering of nations combat air military forces. Russia / U.S. combat close air force confrontations. Russia / U.S. combat close naval fleet confrontations. China / U.S. combat close air force confrontations. China / U.S combat close naval fleet confrontations. Allied nations threat of war with stern warning. Non communication of allied nations for strategic offence. Firing of ballistic missiles with nuclear potential strikes. The democrats discredits the U.S. president diplomacy with Russia alleged continuous collusion tactics, a Mueller investigation. China executes Canadian citizen for political roe. The U.S. president declares a national emergency.